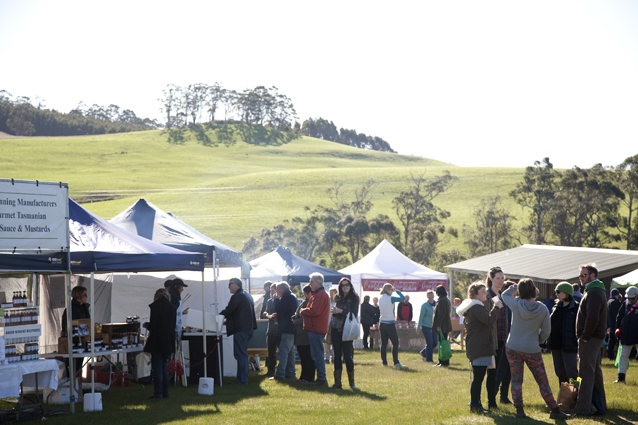 Winter is upon us and we have a perfect July day forecast for the Market this Sunday 5 July. Bring your beanie, coat and shopping basket, support your local farmers and producers and stock up the pantry for some lovely, slow cooked winter dishes and sweet treats! Pav-Lovas who are making their own gorgeous pavs, using local and seasonal fruit, Tasmanian ingredients and great flavours such as lemon and coconut, and brown sugar and lime. We also have our usual range of fresh, local produce – Leap Farm have been busy preparing goat sausages, as well as goat shoulders, shanks, backstrap and eye fillet, plus aged beef in a variety of cuts (we’re looking forward to the osso bucco). Leap Farm will be having a break for the August market so stock up this month. Sirocco South have also made some amazing Wild Mushroom Dust which they are bringing along, as well as slow cooked meat, game and pasta dishes, as well as their mouth watering cannelloni.